Alex Wilcockson is keen for Leicester Lions to improve upon their home record as they aim to move away from danger in National Two North. The Midlands side have had a tough start to the season and currently, they sit just one point clear of the relegation zone. Andy Key’s men have picked up three victories from their opening 10 games this term, two of which have come on their own patch. However, since the beginning of the 2017/18 campaign, the Lions have won less than half of their home matches and Wilcockson feels their form at TMDP Westleigh Park will be key to their progress this year. “You look at the top sides in the league, their home results are never really in doubt. I think solidifying our home record will enable us to go on some good runs. “If you can get a good home result, then every other week, you have the opportunity to build on that which feeds into an unbeaten mentality. “If we can get that home run going, there is no reason why we can’t carry that into some of our away fixtures and upset the applecart. When you actually look at the fixtures we have coming up, three of our away matches are within 45 minutes of us which should help us! Leicester currently find themselves towards that ‘grind’ which Wilcockson eludes to – mainly due to five straight defeats to begin the campaign – but the Lions have shown shoots of recovery since then. Three consecutive wins in October over Sedgley Park, Otley and Preston Grasshoppers has enabled the Lions to move out of the relegation places and Wilcockson has been pleased by his side’s recent displays. “It has not been the prettiest start to the season,” Wilcockson added. “We struggled our way through September, but I think we were a bit unlucky when you look at some of the results we had. “Then, we did go on a nicer run at the start of October. I think it was massively important. When you look at the side that we actually played at the start of that little run, it was Sedgley Park. “At that point, I think they were second in the league and no-one gave us a chance on that Saturday morning. We came away with five points and didn’t even give them one so that was a big thing for us. Leicester Lions will be hoping similar performances are just around the corner after a tough 12 months for the club. Following a third-place finish in 2016/17, the Lions struggled to recapture that form last season and had to fend off the threat of relegation. 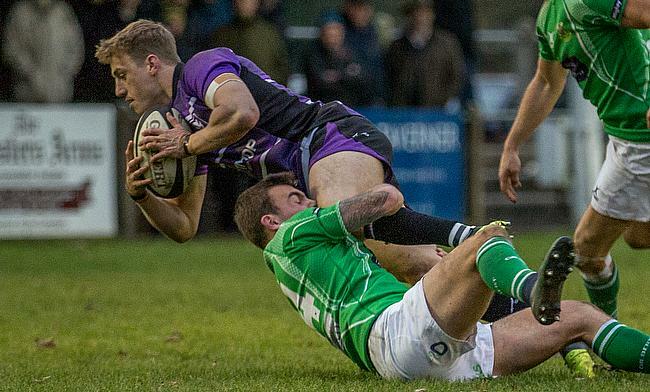 During this difficult period, Wilcockson moved to the Midlands after plying his trade in National Two South for Worthing Raiders and Taunton Titans as well as completing a Human Biosciences degree at the University of Exeter. With Exeter, Wilcockson spent some time in the Chiefs environment (where he featured in the A League) and he also received a call-up to the England Students squad in 2015. His move to Leicester came after interest from former head coach Jack Heald and Wilcockson insists his time at Exeter allowed him to hit the ground running at TMDP Park. The full-back, who is now a medical student at the University of Leicester, added: “Obviously, I spent time down at Exeter to start with. It wasn’t the BUCS Super Rugby then, it was just BUCS Premier rugby, but I was also getting some experience with the Chiefs. “What a lot of people probably don’t realise, is that a lot of players at Chiefs will be involved with coaching or one-to-one sessions with a lot of the top end university lads, if not all the university lads. “They are able to give you that insight which gives you the opportunity to develop, not just on skill-set basis, but on a mentality basis as well. Chiefs have got a brilliant set-up down there. “As for England Students, the biggest thing for preparation there is their professionalism. It is conditioning on and off the field, nutrition and things like that to give you an insight into how you prep your body ready to be able to compete at that top level. Wilcockson has certainly been one of the standout performers for Leicester Lions this season, having scored six tries thus far, and his side host Sheffield Tigers in Round 11. Since their three victories at the start of last month, the Lions have suffered back to back defeats on the road against Macclesfield and Wharfedale. With some key fixtures to come against teams around them, Wilcockson is hoping Leicester can embrace a positive mentality in the lead up to Christmas. He said: “We believe in our squad. We feel we have got some of the best players in the league. “You have got Dev [Devon] Constant who has been running in loads of tries for the last few years and we really do believe that we have got one of the best backlines in the league as well as the most mobile pack in the league. It is just about us implementing that intensity and tempo as much as we can throughout matches. “We are really turning a corner. I was here in the second half of last year. We were in the old clubhouse and morale wasn’t great.